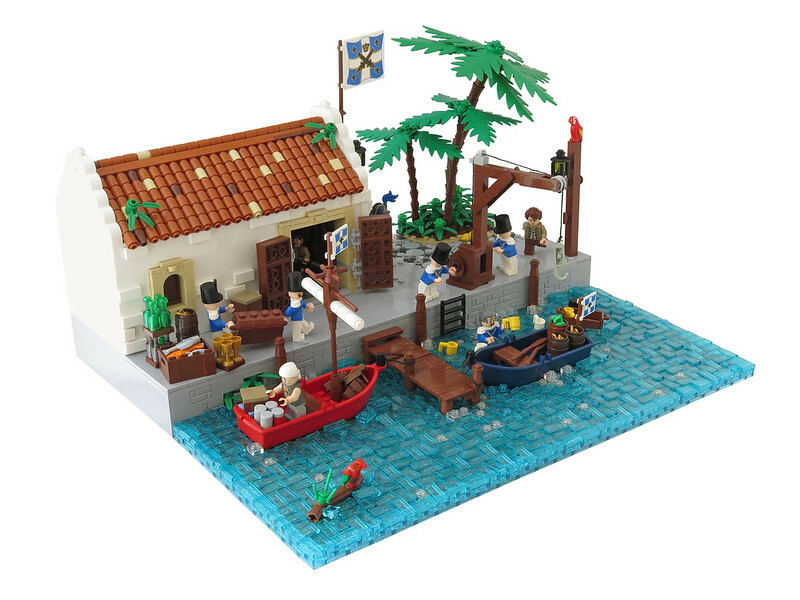 brickbink built this lovely pirate era scene. Diorama demonstrates a blue coat outpost. Besides mixing latest pirate line's, Indiana Jones' and Pirates of Caribbean's torsos he also changed classic yellow into flesh and captured a glimpse of realism. For the issue of realism most outstanding item is how he built the water section. Looking like a straightforward assembly of 1 x 2 trans light blue tiles but instead it is a random structure thanks to some illegal placing of these tiles of cuteness. But in a pirate creation of course my favourites are parrots especially the one on the floating wood. Congrats brickbink! Brick on mate!